January 2018 – Life Is Such A Sweet Insanity. I find the weather fascinating, especially when Mother Nature let’s her hair down in all her glory. One of my favorite movies of all time is “Twister” (though I know it is nowhere near to being scientifically accurate). Disaster movies are also fun to watch from time to time. No one screams “there’s no one to fly the plane!” like a disheveled Karen Black. Earl and I were munching popcorn in a movie theatre last summer when we saw the first trailer for the weather disaster flick “Geostorm”. It looked kind of hookey but once in a while you want to see a hookey film. The release came and went before I remembered wanting to see the movie, so I was happy to see it was coming out on video this month. We watched “Geostorm” tonight. In fact, it was our first Pay-Per-View on xfinity because, I don’t know, we could. That’s really the reason this movie was made, because they could. I’m not going to get into a lot of spoiler stuff here, but I might inadvertently mention some plot points so don’t say you haven’t been warned. First of all, some of the dialog is really cringeworthy, like, worse than stuff I’ve written in this blog over the past 17 years. Basically the premise is this: in 2019 the weather got too bad for us to handle, so we built a bunch of nifty technology that involved new Space Shuttles, thousands of weather satellites that form a grid around the entire globe and an enhancement to the International Space Station to enable it to hold all the equipment necessary, house over 600 personnel, and spin to maintain gravity. Before 2022. There’s a lot of CGI weather effects that remind me of making the citizens run around in SimCity back when I was playing it on my PowerMac G4. Lots of tornadoes, way too many lightning strikes, flash frozen 747s (because it’s always a 747), that sort of thing. 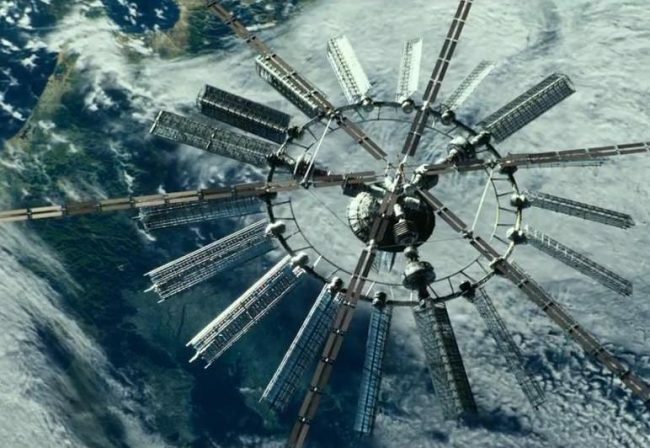 If you take crazy weather special effects, a lot of impressive computer screen graphics that make me want to delve back into Linux (because I can) and throw the movie “Armageddon” into the stew just for fun, you’ve got “Geostorm”. Was it worth $5.99? I say yes just for the escapism. Earl just told the rest of the family not to waste their money. The one piece of cool tech displayed that I hope comes to fruition before 2022 is the replacement of smartphones with the “Holoframe”. Image randomly grabbed from Bob Canada’s Blogworld. This tech was kind of cool and it lends itself to the direction I wish we were headed in when it came to our smart devices. When off, it looked like a pen. That was kind of nifty. 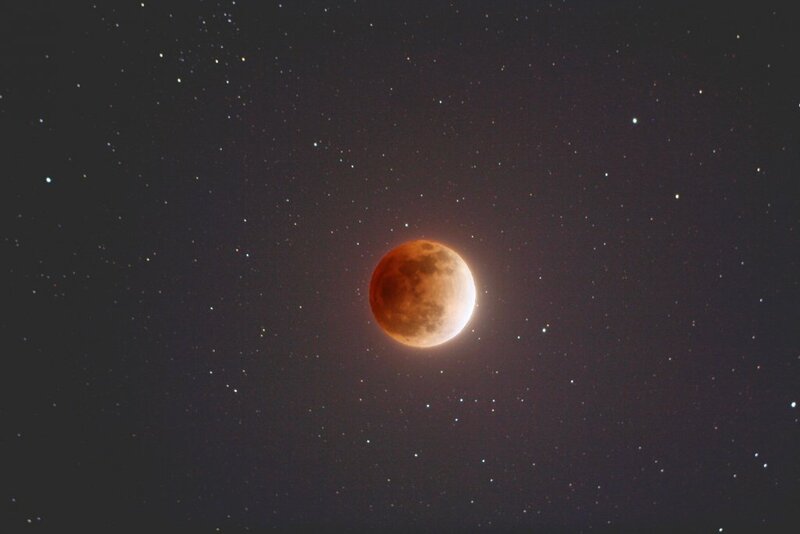 Tonight is a Super Blue Blood Moon. The moon is full, it’s the second full moon of the month (blue moon), it’s in a point in its orbit around the Earth where it’s close (looking up to 17% larger) and there will be a lunar eclipse near dawn. I might just have to get up and take a look myself. So I’m enjoying wireless charging on my iPhone X. I didn’t think it would be that big of deal but when I remembered that Starbucks has wireless chargers built in their tables I found my groove. 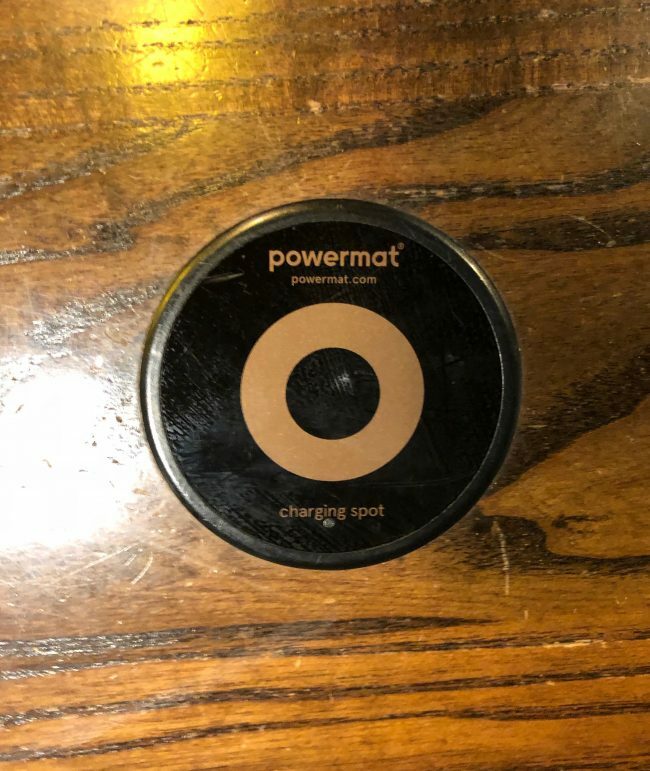 Earl and I purchased charging mats when we bought his new iPhone. Since I occasionally listen to headphones when I’m sleeping and because the iPhone X does not have a headphone jack, I needed a way to charge my phone and listen to my headphones at the same time. Dongles be damned, I’m going with the charging mat. It’s been quite enjoyable. Overall I’m pleased with my new iPhone X. Any frustration has been with apps that haven’t adapted to the new display and a couple of the gestures. I still find myself swiping from every corner possible when I’m trying to bring up the flashlight. Double-clicking the power button does not feel intuitive to bring up Siri. But I’m getting used to these two things; the rest of the functionality of the phone has been spot on. And I’m really loving the wireless charging capabilities. 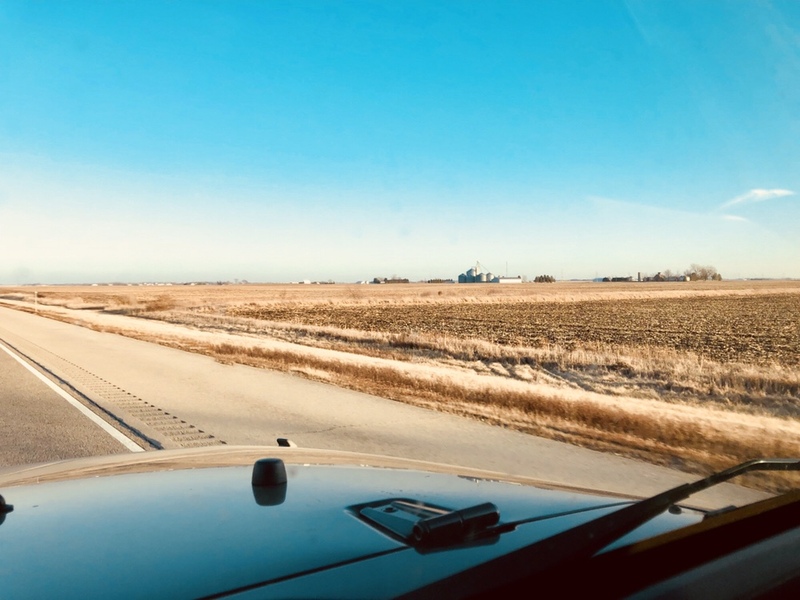 I love the flatlands of Illinois. These two photos were taken along Interstate 88 just west of Interstate 39 near Rochelle. I was about 90 miles from home at the time. 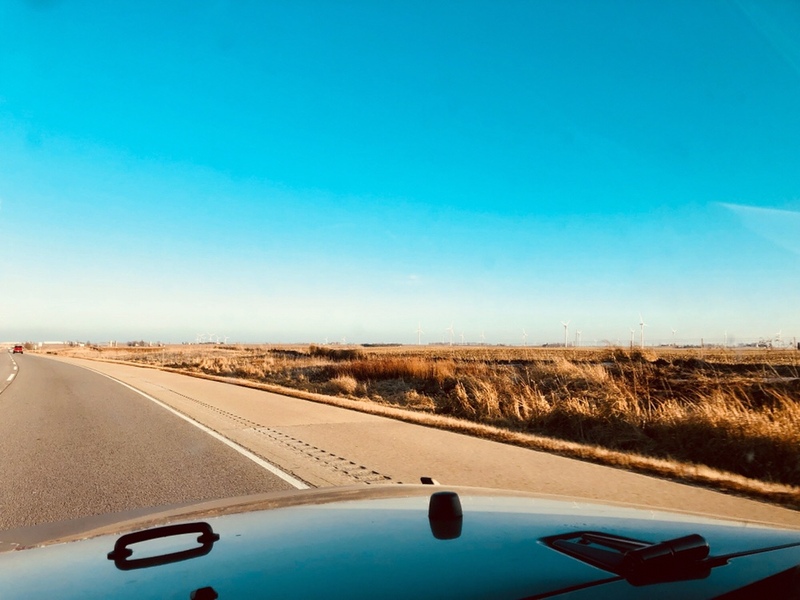 I spent the afternoon exploring Northwestern Illinois in the Jeep. I crossed the Mississippi into Iowa for a brief visit before making my way back home, pulling into our parking garage while there was still a bit of daylight. One of the things I’m loving about living in Chicago is exploring a whole new (to us) part of the country. In the winter we’re more likely to do it by Jeep. I’m looking forward to doing more of it by air this summer. I turn off the news every chance I get. Disengagement is not the responsible thing to do, but it’s the only way to maintain sanity in the chaos. This ad is brilliant. If you don’t understand Net Neutrality and why it’s important, perhaps you will after seeing this. Jack confirms that he is indeed gay and hopes that they can still be friends. Alice rethinks her decision to allow Tommy to go on the fishing trip with Mel and Jack, which prompts Jack to confront Alice at the diner on her reasoning. He makes a compelling argument: “if I was straight and Tommy was your daughter, would you allow her to be around me?”, which Alice says she would have no problem with that. This causes her to rethink her position and she allows Tommy to go on the fishing trip. At the end of the episode, as Alice and Tommy are discussing the trip, she tells him that Jack is a homosexual. Tommy is a little surprised, because everyone at school talks about how you should be able to instantly tell if someone is gay but overall he doesn’t care. He likes Jack for who he is. Alice and Tommy hug and the credits roll. Now, I remember watching this episode as a young kid (I was eight years old when this episode originally aired), probably in reruns on a weekday morning or something. For 1976 and especially for the second episode of a brand new sitcom, this seems like a very edgy subject to tackle but it is well handled from beginning to end. The episode feels honest and I find it to be a surprisingly positive episode of the gay community. The comedic bits are handled mostly well; there’s a few 1970s era digs in there but overall the episode flows well and the message is positive. Imagine, a positive gay episode in 1976, and again, it was the second episode ever of “Alice”. Props to the writers, cast and crew for taking that change during the bicentennial. The reason I remember this particular episode so well is because of Tommy’s reaction at the end. His fairly nonchalant attitude towards Jack’s sexuality struck a good chord with me. In the era of Anita Bryant and the pie in her face, hearing a kid around my age speak his truth about his attitude toward gay people actually made me realize that not everyone in school, despite the taunts I would endure from time to time, was evil. There were good people out there, people that didn’t really care who I fell in love with as long as I was a good person. This is something we all need to remember from time to time. Now, because you know you want to sing along with it, here’s my favorite version of Linda Lavin singing the theme song from “Alice”. I have gathered nine different vocal takes of the theme song from its nine seasons, and the “second season long version” theme is my favorite. I remember when this new version debuted, I had to explain my sister the different between “Early to rise” with the first season and “Early to rise” with this version. Having a VCR back then would have made the argument much easier. My FAA physical is coming due in a few months. In preparation for this event, I did a good thing, found a doctor here in Chicago and had my annual physical. It’s actually been a year since my last physical so I guess I’m not off track here. I’m in surprisingly better shape than I anticipated. As I round the corner to age 50 later this year, I suppose it’s important that I take the best care I can of this vehicle I’m using for this lifetime. I’m looking forward to shedding a few extra pounds when I start cycling again this spring and I’m really looking forward to exploring Chicago and venturing out into the Prairie State on my bike. It’s good to know that this nearly 50 year old heart should be able to handle the exercise.